Please find detailed below the reports from each day. Colets welcomed all squash players, officials and supporters today as Day 1 of The Karakal British Open Squash Masters Squash Championships opened at Colets today. With a record 329 entries from as far afield as Australia, South Africa, the USA and Canada, a terrific tournament is expected. On top of that it is perhaps one of the most highly rewarding Masters Championship in the world with a prize fund of several thousand pounds on offer for successful participants. With Men’s Championships from over 35s to over 80s categories and Women’s Championships from over 35s to over 70s categories in 5 year age groups, some wonderful squash is in prospect over the coming days. Day 1 Review: This day brought the number of men’s draws down to 32. The event manager, the invaluable Brian Brock, set up his vast series of large screens, removing all paper draws and smoothly got the event going. In the Men’s over 55s category, London’s Paul Stewart proved too mobile for Scotland’s Richard Easton and former England player Tom Burton of Hereford powered home against Cumbrian Graeme Braithwaite. Queen’s Club’s David Tarsh was too good for Michael Marutt of Germany and Rob Reid of Hertfordshire beat David Harris of Essex. The Men’s over 45s saw Canadian Alan Fern oust David Robertson of Wales 3-1 and Surrey’s Kelcey Button beat Hedley Woodman of Sussex 3-0. Steve Smith of Leicestershire was too strong for James Quinn also winning 3-0. Wednesday’s matches start at 10.30am and almost all age groups will be involved - spectators are very welcome. The Club’s Servery will also be serving a special tournament menu throughout the week with the Bar opening early, so why not enjoy some fine food and drink whilst watching some world class international masters squash? Day 2 at Colets saw the tournament move into full gear, with all the main Men’s Events in the round of last 32. There were early upsets in the Men’s over 70s, with two Colets members taking notable scalps. Geoff Howes, a former England player, surprised Derbyshire’s John Robertson and won 3-0. But this was eclipsed by Paul Temple, who stunned 2016 World Champion Norbert Kornyei of the USA in a five-game thriller. In the over 65s, Edward Winter beat Hampshire’s Paul Reader in five close games. Former Wales Champion Clive Morgan came through against Martin Shippey of Middlesex 3-0. German no.1 Felix Paal needed five games to overcome former England player Tom Burton of Herefordshire. The top four seeds moved ominously forward. The men’s over 50s are a particularly competitive group with several players capable of winning. Again, the top seeds went through untroubled. Top seed Dave Youngs of Norfolk had an entertaining match with Ville Leppanen of Finland. The men’s over 45s is again very strong, with some interesting players from around the world. Ireland star Steve Richardson moved forward comfortably and is seeded to meet former South African International Zuko Kubukeli in the final. There are two outstanding players in the Men’s Over 40s in former World no.2 Peter Marshall and former World no.39 Scott Handley. The Men’s over 35s again is eagerly awaited with Tom Vail the top seed from Sussex, a former National Champion and one of the most talented racket players around. Matches go on all day Thursday from 10am in the round of last 16s. Spectators are very welcome and there is no entry charge. The tournament really started to heat up with all the seeded players coming in – and in some cases, falling. In the men’s 70s two 5-8 seeds failed to reach their allotted place as Dave Hardern (NOTTS) beat Chris Goodbourn (MDX) 3-0 and Stuart Harland (SSX) edged out England captain Martin Pearse in five. Top seeds Ian Ross (Scotland) and Howard Cherlin (MDX) advanced smoothly. The 65s headed by National Champion John Goodrich (SFK) and defending champion Steve Jackson (SRY) also produced two upsets as Berkshire’s Joe Richardson surprised new O65 Geoff Redfern (WKS) 3-1 and Steve Morrall of Devon beat Terry Belshaw (Cumbria) having previously lost three in a row to him. The 60+ group saw the top four seeds progress including former world no.3 Gawain Briars (NOTTS). Gordon McManus (KNT) needed five games to beat Somerset’s Nick Gollaglee as did Scotland’s Paul Harris who beat Richard Harrison (DOR) 16/14 in the fifth having wasted four match points. The men’s O55s top eight all progressed apart from Barry Watkins (CHS) who was overpowered by Steve Martin of Yorkshire. He now faces No.2 seed and former world no. 16 ‘Fast’ Freddie Johnson (Sweden). Eamon Price (HFD) needed five games to come through against Cumbrian David Gray. The over 50s is felt to be a very open group with several possible winners. Top seeds Dave Youngs (NOR), Yawar Abbas (DCL), Steve McLoughlin (HPH) and Andy Cross (DCL) won well but have some interesting matches tomorrow as they have Alex Couch (MDX) of the home club, Alex Belts (MDX) a former Warwickshire champion, Phil Yerby (BUX) who upset 5-8 seed Andy Murray (WKS) and Rick Weatherall (BRK). Some very interesting match-ups! To the men’s 45s and some great players right through the entire draw. Master’s chairman Jon Gliddon (DVN) gained some revenge over National Champion Nick Staunton (Ireland) with a 3-1 win and will meet South African star & No. 2 seed Zuko Kubukeli. In another quarter final, Michael Harris (SPE), the Edgbaston Priory pro set up another meeting with Galen Le Cheminant of the USA. Harris beat Clive Johnston (MDX) 3-1 while the American came through a tense & tight match with Paul Boyle (BUX). Another National Champion Jamie Goodrich (NOR) won through to meet Surrey pro & Scotland international Neil Frankland. At the top of the draw, top seed Steve Richardson of Ireland plays Ashley Bowling (OFE). Peter Marshall (NOT) is the top seed in the O40’s. The former world no. 2, still powering the ball double handed, beat the very game Cliff Bennett (ESX). He will now play Ben Hutton (SSX) who won through with a good, solid performance over Mike Potter (CHS). England O40s captain Jonathan Gallacher (DVN) beat Nick Hargreaves (NOTTS) and will now meet 3-4 seed Paul Allen (ESX). Defending champion and no. 2 seed Scott Handley is Colets’ club captain and he eased through against club-mate Adam Waddington. He meets Mick Biggs (MDX), a member of the victorious England O40’s team. In the blue riband event, the men’s O35’s, top seed Tim Vail (SSX) showed his class to win 3-0 and looks unstoppable! There were mixed fortunes for hosts Colets today. After his heroics yesterday in beating the World Masters O70’s champion, Paul Temple was brought down to earth by Rod Boswell (CHS), the defending champion. Geoff Howes also lost to 3-4 seed Jack Halford of Cornwall. Fortunes turned however when Tammy Bennett won a tremendous match over 3-4 seed and England no. 2 Lesley Sturgess (DYS) 3-2. Fellow team member Kim Ricks was unable to get to grips with Hilary Kenyon (CHS) going down 3-0. Alex Couch, the club veterans no.1 continued a good run, beating Nick Derbyshire (BRK) in a solid, well-controlled 3-0 win. He now meets top seed and national champion Dave Youngs (NORFOLK). Finally, in the men’s O40s, Colets’ captain Scott Handley, the defending champion and no. 2 seed had to play Colets’ current club champion Adam Waddington. Adam fought well however lost 3-0. Scott goes on to play England star Mick Biggs tomorrow. Friday will provide us with another packed day of world-class squash. Action gets underway from 10.40am with the final matches due to start from 6.40pm. John Goodrich (SFK) is National Over 65s champion and top seed here. He moved smoothly through to the semi-finals beating England captain Ian Graham (SSX). Goodrich now faces Ian Holmes (NHM) who beat Scotland No.1 and 2016 champion Jim Dougal 3-0. Berkshire’s Joe Richardson continued his fine form and will now meet Geoff Walton (CHS) who snatched victory from defending champion and No.2 seed Steve Jackson (SRY). The ‘elder statesmen’ of the game, the Men’s Over 80s also got going with wins for the evergreen Lance Kinder (HPH), John Woodliffe (GLR) where they will meet the top seeds Pat Kirton and Malcolm Gilham. Meanwhile their younger counterparts in the Over 75s also got underway with the top four seeds taking their allotted places. Adrian Wright (YKS) will now play Gerald Poulton, the Canadian champion while No.2 seed Mike Clemson (YKS) will play the new man in the age group Anthony Clifford (HFD). The women’s Over 60s also started with the top four confirming the Seeding Committee’s decisions. Top seed Sian Johnson (Wales) will meet former champion Jill Campion (MDX) while former World Champion Karen Hume (KNT) will face another former World Champion in Julie Field (YKS). In the Men’s Over 70s the top two moved ominously on. Scotland champion Ian Ross beat Martin Day (YKS) 3-1 while new Over 70s player Howard ‘Merlin’ Cherlin (MDS) beat Stuart Harland of Sussex 3-0. They meet Aubrey Waddy (BUX) who scraped through 16-14 in the fifth game against Dave Hardern (NOT) while Cherlin will meet Jack Halford (CNL) who ended the reign of defending champion Rodney Boswell. 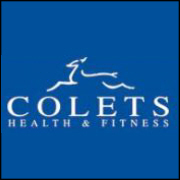 Colets’ Ladies’ Champion Tammy Bennett (SRY) pulled off another win against higher seeded opposition in the Women’s Over 55s. After beating 3-4 seed yesterday she beat 5/8 seed Sarah Howlett (CBE) 3-1 to set up a semi-final with 2016 champion Fiona McLean of Scotland. Top seed and National Champion Mandy Akin (KNT) came through to meet Bev Brockway who had a close fought match with Pippa Green (AVN), winning in five. The men’s equivalent had some super matches. Defending champion Mark Woodliffe (LGR) beat John Parkes (WOC) 3-0 and now faces Bucks pro Darren Withey who caused an upset to beat Sweden’s Jonas Ulvsback in five games in over an hour. In a Hertfordshire battle Eamonn Price ground down Gary Raw in four and now faces ‘Fast Freddie’ Johnson of Sweden, the European Champion. Seeding had proved correct in the Men’s Over 60s but that was to end. Top seed and defending champion of the last two years, Clive London (KNT), went 2-0 up against Ian Bradburn (LNK) but the Wigan man can never be written off and he stormed back to win in five in nearly an hour. Scotland’s Paul Harris fought hard but lost out in four to Jeremy Goulding (AVN). Another much anticipated match saw England No.1 in the open group, Gawain Briars play Scotland champion Robin Ridley – a finalist here last year. In a see-saw match that tilted as Briars took the third 17/15, he took the match in four and will meet the National Champion Allen Barwise (LHN). The top two in the Men’s Over 50s category eased through. Top seed and National Champion Dave Youngs (NOR) had two terrific games with Colets’ star Alex Couch (MDS) before winning in three. Youngs now meets Phil Yerby (BUR) who beat 3-4 seed Steve McLoughlin in four. In the bottom half the other 3-4 seed Andy Cross (DCL) went down in four to Berkshire pro. Rick Weatherall and he will now play No.2 seed Yawar Abbas who was always just ahead of Alex Betts of Queen’s Club who had already had two good wins over higher ranked opposition. The ultra-tough Men’s Over 45s is full of sheer class. No.2 seed South African star Zuko Kubukeli took out England captain Jon Gliddon with a masterful display. He now meets Galen Le Cheminant of the USA who avenged a defeat six months ago by Mike Harris (SPE). In the top half, Scotland’s Neil Frankland overcame National Over 40s Champion Jamie Goodrich (NFK) 3-1 and will meet Stevie Richardson of Ireland – the top seed and many times British Amateur Champion. The women’s Over 40s is predicted to have defending champion Keeley Johnson (KNT) meet Rachel Calver (LEI) the National Champion. Zoë Shardlow (SSX) came through in five against Louisa Dalwood (HFD) to meet Calver who had a competitive match with Sweden’s Joanna Elgood winning 3-1. The men’s Over 40s is bubbling nicely with former World Star Peter Marshall, still relentless taking out Ben Hutton (SSX) 3-1 while Paul Allen (ESS) beat England caption Jonathan Gallacher to set up a semi with Marshall. Croatian No.1 Domagoj Spoljar has been winning regularly in Europe and reaches the semis with a solid win over Scotland international Stuart Ayton. He will meet Colets’ captain Scott Handley (OXD) who outplayed Mick Biggs (MDS) No.2 in the England Team last month. Tim Vail (SSX), the top seed in the Men’s Over 35s showed his class to get through against Alistair Coker (HFD) 3-0 while Ross Gore of Oxfordshire saw off Marcus Hayes (WKS) to earn a match with Vail. Keith Thomas (HFD) had a hard struggle with 2017 Open Champion Alex Preston (BUX) but won in four and will now meet Phil Nightingale (SRY) in the semis who beat Stephen Jenks (SPE) 3-0. The semi-finals are on Saturday from 11am and spectators are welcome. The tournament reaches the critical semi-finals stage with some thrilling matches in prospect. The game’s ‘elder statesmen’, Men’s Over 80s, saw old rivalries renewed. Many time Champion, they are in fact all many time champions, Patrick Kirton went down 3-2 to Lance Kinder in a reversal of usual fortunes. Meanwhile, World Masters Champion Malcolm Gilham proved too good for John Woodliffe winning 3-0. Their younger counterparts the Men’s Over 75s saw another upset when four-time World Champion Adrian Wright went down 3-1 to Canadian Champion Gerald Poulton. In the other semi the ever-running Mike Clemson came back from 2-1 down to win in five games. There was drama in the Men’s Over 70s when top seed and Scotland No.1 Ian Ross was hit on the head by Aubrey Waddy, Ian’s fault unfortunately. 1-0 up but down in the second at the time of the injury, Ian didn’t recover and lost 3-1. Meanwhile, Howard ‘Merlin’ Cherlin was weaving his spells around the mobile and determined Jack Halford, after the first game it was all Cherlin. The top seed fell in the 65s as well. ‘Judge’ John Goodrich never quite got his ‘A’ game going and the ever-steady Ian Holmes picked him off in straight games. He will face Berkshire stalwart Joe Richardson who has put together four excellent results so far as he dismantled Geoff Walton who was feeling the effects of a marathon yesterday which removed the No.2 seed. In the Women’s Over 70s Ann Manley opened her account by beating Barbara Sanderson. In the over 65s Faith Sinclair beat June Hill as did Sue Wastie to set up a final tomorrow. The over 60s saw a tremendous battle between National Champion Sian Johnson, the Welsh No.1, and former Open Champion Jill Campion. Sian went 2-1 down but her fine racket skills got her through in five. In a battle of world champions Julie Field proved too good for Karen Hume winning 3-0. The Men’s Over 60s had Jeremy Goulding a former Open Champion end the run of top seed slayer Ian Bradburn while the other semi was an interesting meeting between National Champion Allen Barwise and former world No.3 and National Champion (open group) Gawain Briars. Briar’s great touch had the better of the first game as a nervous Barwise made a number of errors, Barwise steadied, edged the second and took control to win 3-1. The top seeds came through in the over 55s to set up a mouth-watering clash. Mark Woodliffe, now coaching in Switzerland, has won for the last two years but for three games Darren Withey fought a hard and matched him. Squeezing a 2-1 lead Woodliffe powered through the fourth for a 3-1 win. Meanwhile, the perpetual motion machine that is Freddie Johnson of Sweden went into overdrive to keep the very accomplished Eamonn Price out of it and won 3-0. The Women’s Over 50s pitted the USA and defending champion Hope Prockford against Welsh Champion Helen Bernard. Both women are terrific athletes but Hope had the edge for a 3-1 win. Andrea Santamaria the no.2 seed took on 3/4 seed and National Champion, Rachel Woolford. Andrea proved too strong and gave her opponent no chance. The Women’s Over 55s saw the two expected finalists go head to head as Kent’s Mandy Akin proved too capable for Hampshire’s Bev Brockway and after a close first Mandy went through. There she will meet defending champion Fiona Mclean, the Scottish No.1, who ended the giant killing run of Colets based Tammy Bennet. David Youngs’ unique style of play was under pressure from the fitness and speed of Phil Yerby, but it was the National Champion who prevailed in 5 “all over the court” games. In the other half Yawar Abbas came through an athletic contest against Rick Weatherall to set up a re-match of the National final against Youngs. There was a Battle Royale in the Men’s Over 45s as Ireland star Steve Richardson took on Neil Frankland of Scotland. Level at 1-1, the third was vital and in a tempestuous match it was the Irishman who clinched it 16/14 and marched on with the fourth 3-1. In the final he will meet the South African speed demon Zuko Kubukeli, who after dropping the first to the immensely talented Galen Le Cheminant, proved too dynamic for him winning 3-1. The top four seeds are in the semis of the Men’s Over 40s and former World No.2 and National Champion Peter Marshall pummelled the ball double handed to shut out Paul Allen. Marshall will play Colets star and club captain Scoot Handley who was able to move Croatian No.1 Dom Spoljar around at will. Some great squash but, Handley was always going to win. In the Women’s Over 40s top seed and defending champion Keeley Johnson overcame Surrey’s Vicky Strange in straight games to set up another final against Rachel Calver who lost a run of finals to her before Rachel won the National Final. Calver beat the talented Zoe Shardlow 3-1, the final should be a good game. In the Men’s Over 35s top seed Tim Vail showed off his silky-smooth skills as he made the game look easy. Oxfordshire’s Ross Gore worked very hard but got no change from Vail. It’s difficult to see anyone beating him. In the bottom half of the draw has last year’s finalist Phil Nightingale the No.2 seed went 2 down to Keith Timms before powering back to win in five gruelling games. The Women’s Over 35s has two outstanding players who were both world ranked No.18. Laura Briggs powered through Reka Burmeister and Dominique Lloyd-Walter beat Selina Sinclair to set up the much-anticipated final. So, after five days of incredible squash, the finals; and players aspiring to join some of the legendary names in squash that have been British Open Masters Champions include Hashim Khan, Jonah Barrington, Ross Norman and Sarah Fitzgerald - so today’s champions will be in excellent company. 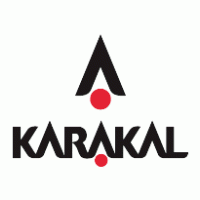 This year’s sponsors, Karakal, have made it the best rewarded Masters event in the world with cool prizes for the younger groups and generous vouchers for all finalists. This goes a long way towards England Squash Masters' aim of valuing Masters Squash and rewarding them for their efforts and excellence. The game’s "elder statesmen", the Men’s Over 80s saw the ever-lively Lance Kinder (HPS) take on World Champion Malcom Gilham (SFK). Gilham took the first but Kinder was the more mobile and took the match 3/1. His 4th British Open. The younger men of the 75s had Yorkshire dynamo Mike Clemson take on North American Champion Gerald Poulton of Canada. This one went backwards and forwards and always looked to go to five. It did and Clemson emerged the stronger to take the title. The Women’s 70s put together long-time rivals Bett Dryhust (WOC) and Ann Manley (AVN). Ann has had the upper hand recently and so it continued here. The Men’s 70s had a contrast in styles with Howard ‘Merlin’ Cherlin (MDX) with great touch and flair and Aubrey Waddy (BUX) a strong and fit left-hander. A good match was not to be, however, as Waddy pulled a thigh in the first. The title to Cherlin - his first open. At over 65 level Scotland’s Faith Sinclair is the outstanding player but Sue Wastie (OFE) has been playing well. The favourite came through, however, after a close 16/14 first game. The men’s finalists Joe Richardson (BKS) and Ian Holmes (NHT) had both done some ‘giant killing’ and were playing very well. So it proved in a very close match that probably hinged on four game balls that Joe did not convert in the third. He lost that 18/16, won the fourth but faded in the fifth. A first major title for Ian Holmes. The Women’s 60s matched National Champion Sian Johnson the Wales No. 1 against several times World Champion Julie Field (YKS). Field proved the stronger and came through to win 3/1. Jeremy Goulding (AVN) won the Nationals and British open when he turned 55. Now at 60 he did it again proving too strong for National Champion Allen Barwise (LNH). His goal is now the World Masters in August. Possibly the most anticipated match was the 55s between champion of the last two years Mark Woodliffe (GAR) and Sweden’s former top 20 player Freddie Johnson. Both men have won six British Opens. The Swedish perpetual motion machine was the man to make it seven as he recovered from a first game loss to win 3/1. Mandy Akin (KNT) and Fiona McLean (Scot) have had some epic battles in the last few years. The Scot beat the Kent last year and proved too good again in spite of a close 2nd. American Champion Hope Prockop was the favourite in the Women’s Over 50s to defend the title she’s won for two years, but Andrea Santamaria (YKS) had other ideas. In a match full of skill and clever squash the Pontefract player emerged a winner in five hard fought games. Yawar Abbas (DCL) lost to Dave Youngs (NFIC) in the National Final and as Youngs went 2/0 up it looked like a repeat. Abbas dug in deep and pulled out a remarkable come-back to win 3/2. Shayne Baillie of Surrey, of South African extraction, is England's No. 1 over 45 and she met County and National team-mate Isabelle Tweedle. There was some excellent squash from both players; Baillie won her first Open. The Men’s 45s matched the powerful Irish International Steve Richardson against Zuko Kubukeli of South Africa. A fantastic match that went one way then another. By the fifth game it was anyone’s. A tight one went the way of the South African. England team-mates Keeley Johnson (KNT) and Rachel Calver (LEC) have played several finals and Keeley was on a run until the Nationals. She gained her revenge here, however and won in straight games. Colets Club captain Scott Handley (OFE) met former World No. 2 Peter Marshall (NOT) in the 40s final and the match was a cracker through a hugely contested third game which went to Marshall 16/14, and this gave him the impetus to take the match 3/1. The Women’s Over 35s Final has two top players both of whom have reached a World ranking of 18. Lauren Briggs of Essex is the current National, Open and European Champion and she proved to be too strong today for Dominique Lloyd-Walter (SRY) winning 3/0. The Men’s 35s was a masterclass by Sussex pro. Tim Vail. Surrey’s Phil Nightingale is a strong and professional player – still competing on the Pro. Tour. But Vail is a very classy player and gave him no time as he put on a wonderful display of power and touch to win the British Open Over 35 title 3/0.